It may only be October…but now is the time to start planning and delivering your Christmas marketing campaign. During seasonal periods we’re much more open to sale messages, so it’s a great opportunity to convert your potential customers to actual customers. However, it can be difficult to cut through the noise of Christmas as consumers are inundated with marketing and promotions. So ask yourself: How can you be different? We’ve put together our top 5 tips to help you create a plan of action for your business. 1. Don’t do ‘complicated’. Everyone is moving so quickly at this time of year so make it easy and fast. Take yourself on your customers’ journey – if you spot any barriers to working with you, remove or simplify them. Quick hits and strong, clear calls to action work best. 2. Solve people’s problems. Christmas can be stressful so how can you alleviate that stress? Don’t think about pushing a product it’s about solving a customer’s needs. In today’s world and especially during this busy time of year, people are looking for faster and more efficient ways to solve their problems and they’re ready to pay for it. If you can help them solve their problems and enjoy the benefits of living without their problems, you will fast become their most favourite business! 3. Capitalise on goodwill and build loyalty not just profit. Christmas is all about ‘giving’ so reward your loyal customers. 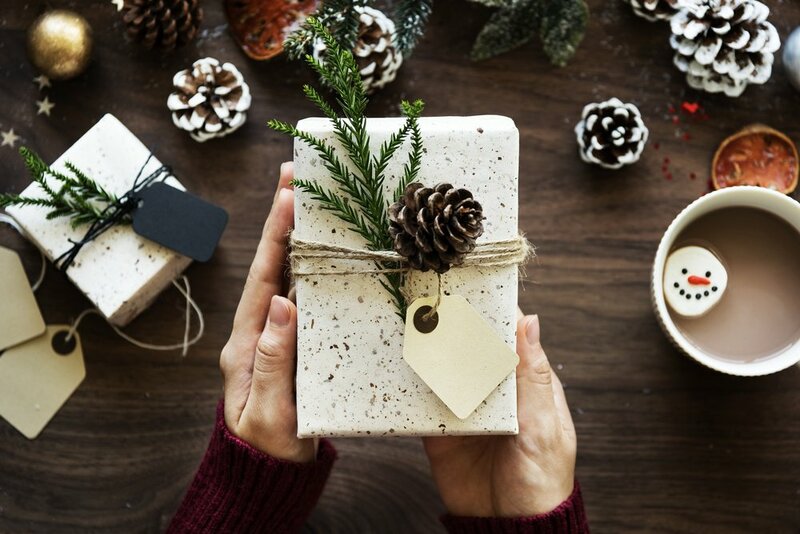 According to studies by the National Retail Association 61% of gift card holders spent more than the total value of the card, so ‘giving’ makes good business sense! This sentiment was best illustrated by Westjet (Canada’s second largest airline) whose ‘Christmas Miracle’ marketing campaign went viral. In a few days the video topped 13 million views, was seen in over 200 countries and hit the headlines all over the world. As Forbes magazine said: “It’s the kind of branding that normally only Santa can deliver.” Whilst we might not be able to be so grand with our gestures, you get the point! Building loyalty at this time of the year will help put your business on a strong footing in the New Year. 4. Personalise: Continuing from Tip 3; personalisation can go a long way in keeping you front of mind. As Christmas cards start landing on your doorstep, how do you decide what goes on display and what goes in the recycling bin? If someone has taken the time to write a personal message it means so much more than a pre-printed standard. Be it a printed card/note or even an e-communication personalise it wherever possible. And go beyond just a mail merged name and say something that really helps you connect. Remember it’s a marathon not a sprint. Don’t push the same messages time and again. Differentiate your brand by using distinct stages of messages…and don’t forget to plan ahead for January and beyond. If you’ve built a strong and loyal customer base then carry them with you as you launch into 2016. If you need any help planning or delivering your marketing campaign we’d love you hear from you. Get in touch.